Got Sharepoint? Need Dashboard? Read on! "But I've already spend money, invested time and been trying to get my users to use the Sharepoint system we have in place - and now all they want is to use Dashboard to distribute documents - help!" Is a common message we get from our large (and some not so large) customers. Its been a big dilemma for IT - how do they maximise the ROI and usage of Sharepoint whilst still letting people use BTCDashboard to delver docs and other content from the network server or even local hard drive. Now BTC announces our Sharepoint support. - do check out the website at the link and let us know if you think its gets the point across. With Sharepoint integration you can now selectively choose which content from Sharepoint to dynamically sync or just upload to BTCDashboard. The system has been designed to allow you to keep your existing Sharepoint workflow whilst ensuring that users actually get pushed content to their mobile devices that fits right together with the existing BTCDashboard content. 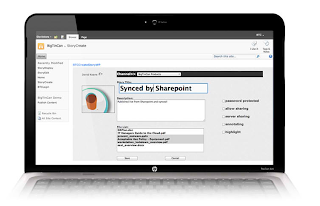 From Sharepoint you can publish files, HTML content, and text and choose to sync files so that changes made on the Sharepoint side are replicated on the BTCDashboard system. 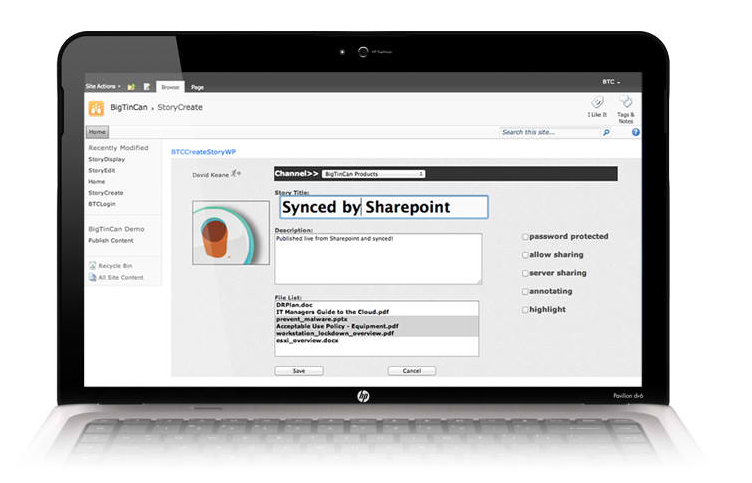 Sharepoint itself is something that requires a considerable amount of customisation, and whilst BTCDashboard Sharepoint integration tools can't eliminate that work, they can let Sharepoint do more of what its good at - centralised internal document and content storage - whilst freeing the users to work with the power of BTCDashboard on their mobile device. We are releasing the Sharepoint support as a FREE toolkit that can be integrated by BTCDashboard customers and it also comes with some handily integration tools that help to make the implementation as easy as possible. Interested? just drop us a line at btcdashboard@bigtincan.com and we would love to share more with you.